His Instagram Story previewed a distorted and soulful new song. 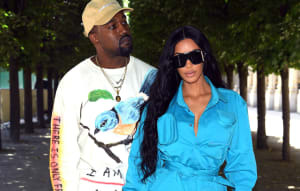 Kanye West has shared a snippet of new music in a video on Instagram, as Complex points out. The short clip features Kanye driving around a city heading to a studio with Florida producer Ronny J. It's soundtracked by a chopped up soul sample, distorted kick drums, and Kanye crooning. Whatever he's sampling in the clip, hopefully he's cleared it, as Kanye faces another allegation of uncredited sampling, this time by DJ David Morales for the bass line on the song "I Love It." The video comes after Kanye's return to Instagram this week.